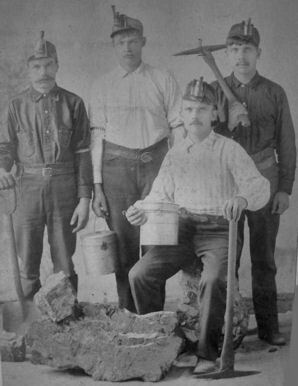 Coal was discovered in Wyoming by the Fremont Expedition of 1843. 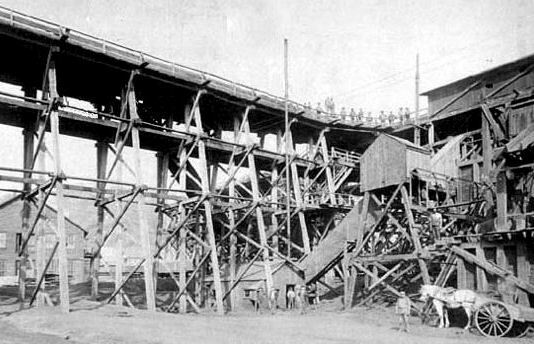 Commercial mining began with the arrival of the railroad. 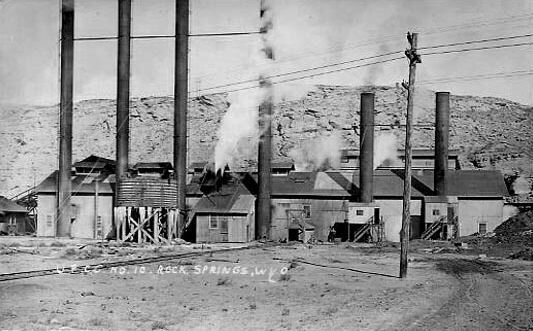 The first mines were located in Carbon and Rock Springs and were owned by the Wyoming Coal & Mining Company. 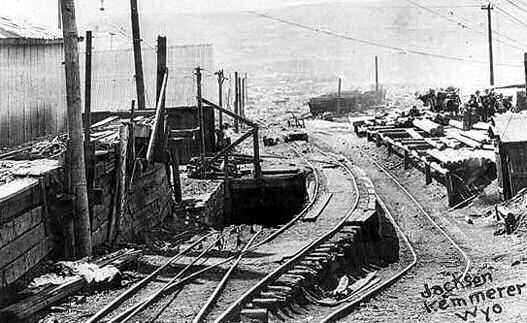 When the railroad was relocated in 1899 to avoid a steep grade, the Carbon mines and the town around them were abandoned. 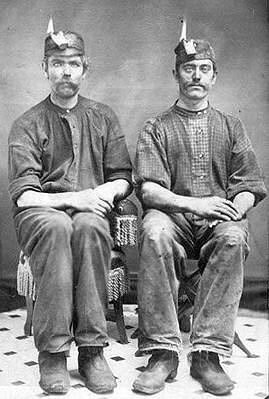 Nearly 90 percent of the stock in Wyoming Coal & Mining Company was held by executives and major stockholders of the Union Pacific Railroad. 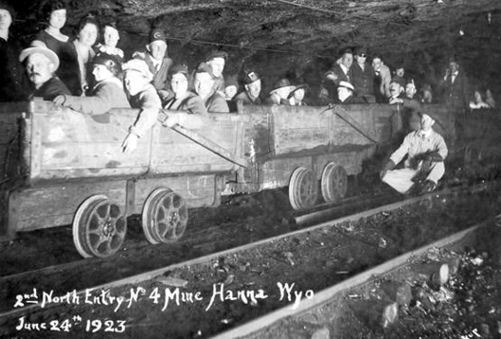 Wyoming Coal leased the land from the railroad, and then sold their coal to the railroad for a profit. 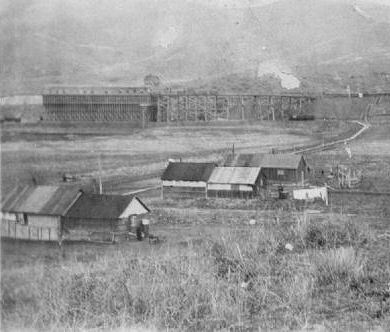 In 1874 a government investigation terminated the agreement between the two companies, at which point Union Pacific took over the mines. 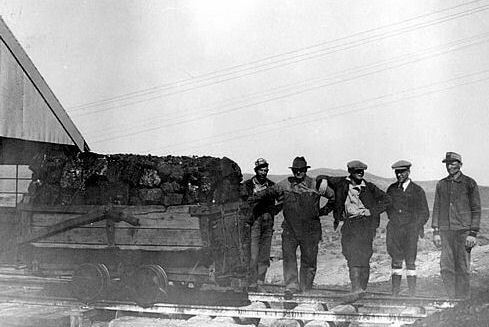 By controlling the only means of transporting coal, the Union Pacific established a monopoly on coal production. 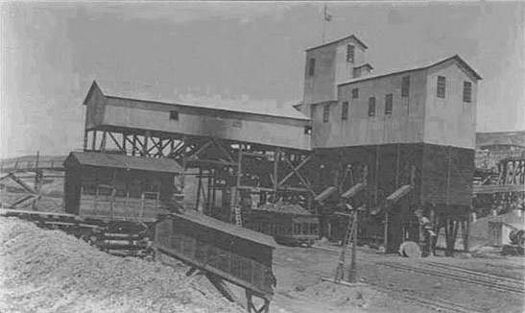 During the late 1860's and into the 1870's coal production in the state was over one million tons per year, and by 1890 that amount had reached nearly two million tons per year. 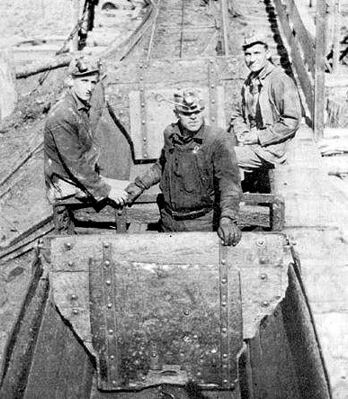 By the turn of the century almost three million tons of coal were being mined. 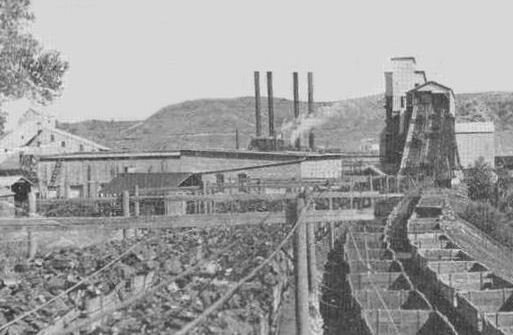 By 1890 however, the Union Pacific's wholly owned subsidiary the Union Pacific Coal Department had been replaced by the Union Pacific Coal Company which was producing most of the states coal from mines located near Rock Springs, Hanna and Carbon. 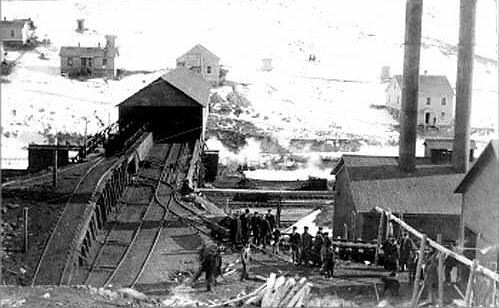 Other independent mines in Wyoming were also contributing to the state's production of three million tons at the turn of the century. 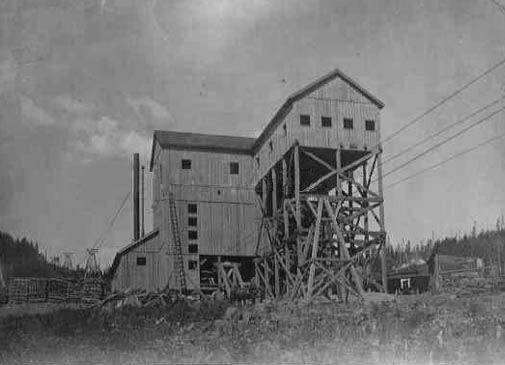 These mines were located in Sheridan, Newcastle, Glenrock, Inez, Diamondville and Kemmerer. 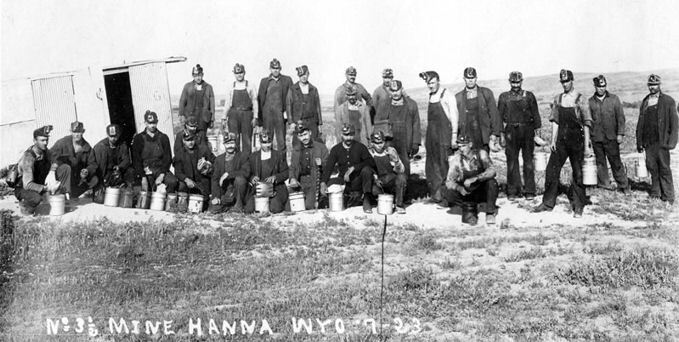 In 1989, Wyoming produced 181 million tons of coal a year, about one-fifth of U.S. production. In 1999, Wyoming produced 320 million tons of coal, nearly a third of nationwide production. Today, Wyoming is the nation's largest coal producer, with over 400 million tons of coal produced in the state each year. 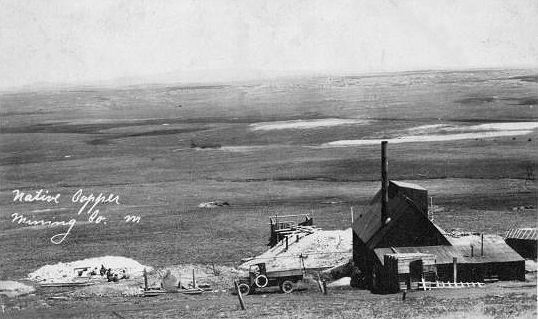 US Geological Survey geologist J. D. Love discovered uranium in 1951 near Pumpkin Buttes, about 25 miles northeast of Midwest, Wyoming. 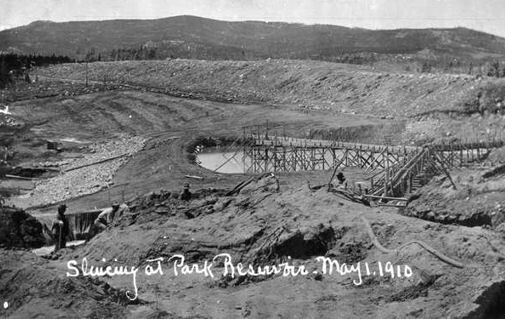 Other deposits were found along a 60-mile northwest-southeast trend in the southwest part of the Powder River Basin, and production began in 1953. The deposits are roll fronts in fluvial sandstones of the Eocene Wasatch Formation and underlying Paleocene Fort Union Formation. The principal ore minerals are uraninite, coffinite, metatyuyamunite, and carnotite. Gangue minerals are calcite, gypsum, pyrite, iron oxide, and barite. Uranium was discovered in 1952 in Cretaceous sandstones of the Inyan Kara Group near its outcrop in Crook County, Wyoming, near the northeast edge of the Black Hills. 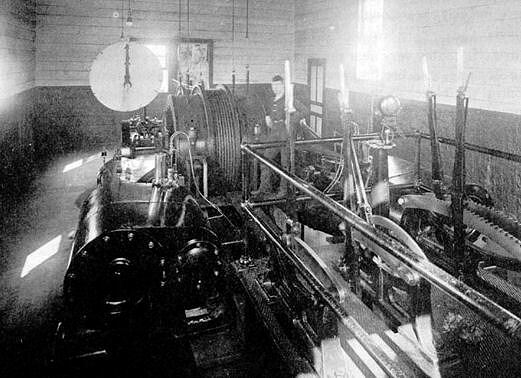 Production began in 1953. Ore minerals are uraninite and coffinite in unoxidized sandstone, and carnotite and tyuyamunite in oxidized sandstone. Gangue minerals in unoxidized deposits are pyrite, marcasite, and calcite; in oxidized deposits calcite and iron oxide. No mining has taken place in the Northern Black Hills district in recent years, but recent high uranium prices have brought new exploration drilling to the area. The Gas Hills district, straddling the Natrona-Fremont county line in central Wyoming, was discovered in 1953, and ore production began in 1955. The ore consisted of lenticular bodies of meta-autunite, uraninite, and coffinite in fluvial arkosic sandstones in the upper Wind River Formation of Eocene age. 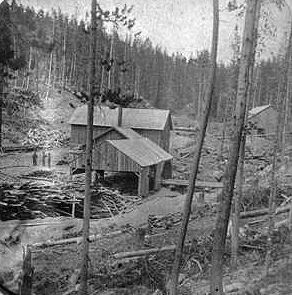 Mining was mostly by open pit, although there were also some underground mines. Strathmore Minerals Corp. of Kelowna, British Columbia is currently applying for permits to mine properties in the Gas Hills district. 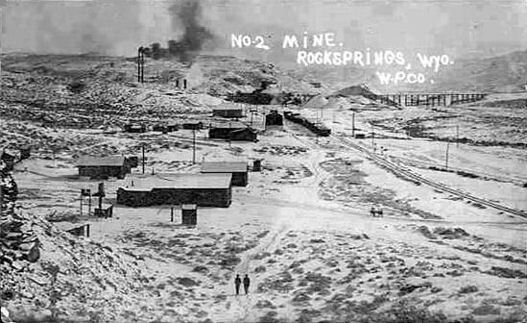 In the Little Mountain mining district on the west side of the Bighorn Mountains, Big Horn County, Wyoming, uranium was produced from 1955 to 1970 from paleokarst breccias in the Madison Limestone of Mississippian age. The uranium occurs as carnotite and tyuyamunite. 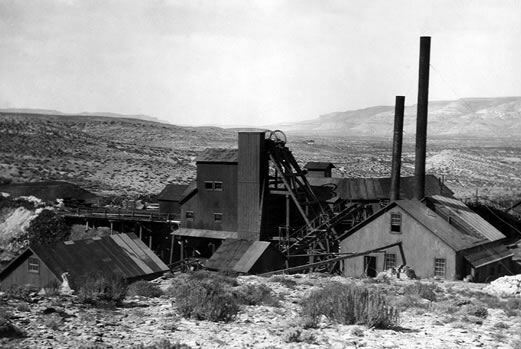 Uranium was discovered in the Shirley Basin, Carbon County, in 1955. 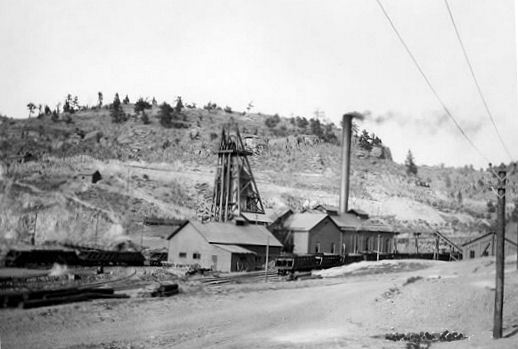 Production began in 1960 from underground and open-pit mines. 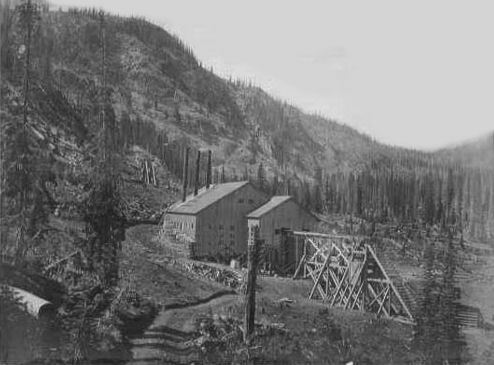 Mining by in-situ leaching began in 1961, the first in-situ leach mining of uranium in the United States. The ore occurs as roll fronts in Eocene sandstone of the Wind River Formation, as uraninite with pyrite, marcasite, hematite, calcite, and organic matter..